Initial coin offerings (ICOs) are the new craze in the digital currency world. Although they have been around for several years, they just became popular in 2017 as they offer cryptocurrency startups an easier way of getting funding. The reason ICOs work so well is because of the rising popularity of cryptocurrency exchanges in the world today. Just by browsing through a website like Btxchange.io can you come across countless websites that you can buy and sell your cryptocoin on. And in essence, ICOs are also a kind of cryptocurrency exchange. What startups do is to offer their new cryptocurrency as a token, and investors buy these tokens based on the speculation that coin value will increase with time. Hence, the founder of the crypto attains funding for his project, and the investors profit if the project succeeds and its coin price rises. Considering the low entry barriers for both the fundraisers and investors, many people are opting for them notwithstanding the risks. Fundraisers have seen how other startups have quickly raised multi-million funds without a hassle and they also want to cash in. 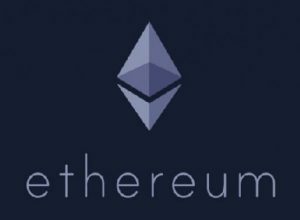 Ethereum, the second largest cryptocurrency, raised over $2.3 million within 12 hours of its ICO. The investors hope that the startups they invest in will attain quick growth, making their tokens increase in value and thus obtain sufficient returns. Much as these ICOs have eased the way for innovators to have their ideas funded and gain actualization, they have their disadvantages on top of being high risk ventures. They are not regulated by any organization and hence it’s hard for investors to get reimbursed in case things go wrong. Also, since most of the investors are enthusiasts, scammers have come up with sham projects to exploit this interest. Scammers behind the Benebit startup raised between $2.7M-$4M through ICO and disappeared with it. However, the advantages of ICOs outweigh the disadvantages, hence people should embrace them since all innovations in the world have the good and bad side. For instance, with them being open to the public and offering tokens at a cheap price, they are enabling people to take part in shaping the future of the crypto world. Having said that, people need to exercise caution while investing in ICOs. You should invest in coins that are transparent, have a clear problem they want to solve, an achievable goal, and a defined developers team.